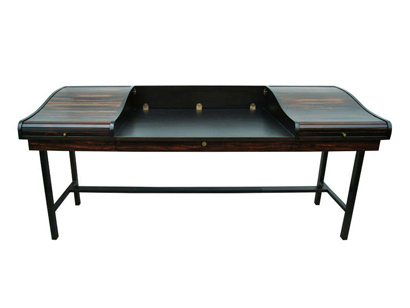 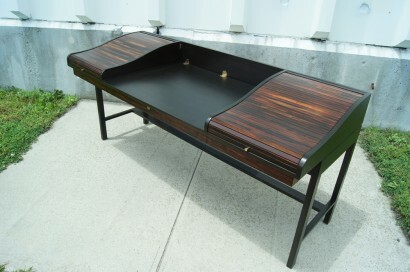 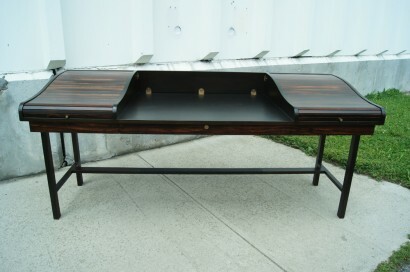 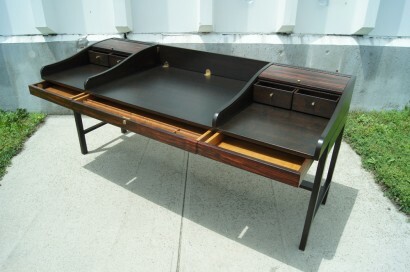 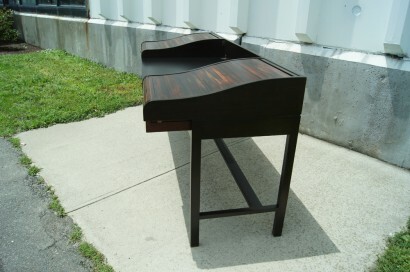 This desk was designed in 1957 by Edward Wormley for Dunbar. 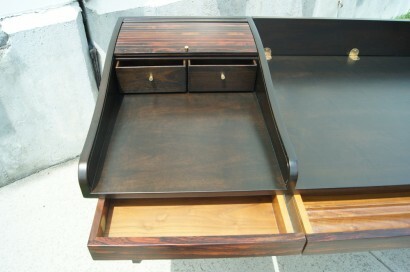 It features two rosewood roll-top doors that each conceal two small drawers, as well as three shallow drawers below. 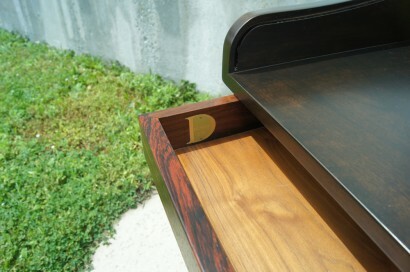 The desk also has a hinged panel that allows it to convert to a partner’s desk. 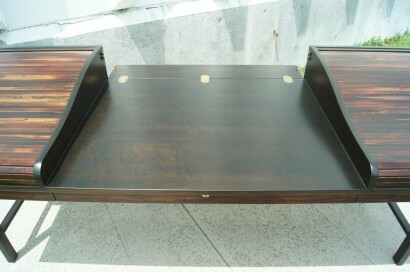 The height of the writing surface is 28.75″.